At long last, the time for bringing the faithfully awaited Creators Update to the Windows 10 masses have come. It wasn’t an easy journey, and it took Microsoft several months of hard work to get here, but now it’s ready. Microsoft announced the Creators Update back in October at its Surface event, alongside the Surface Studio. The Creators Update promised many features, but unfortunately, it has failed to keep some of those promises. People Hub, for example, was one of the features that were extensively previewed during the announcement but had to be left out in order to meet the deadlines. Here’s what we have all been waiting for. 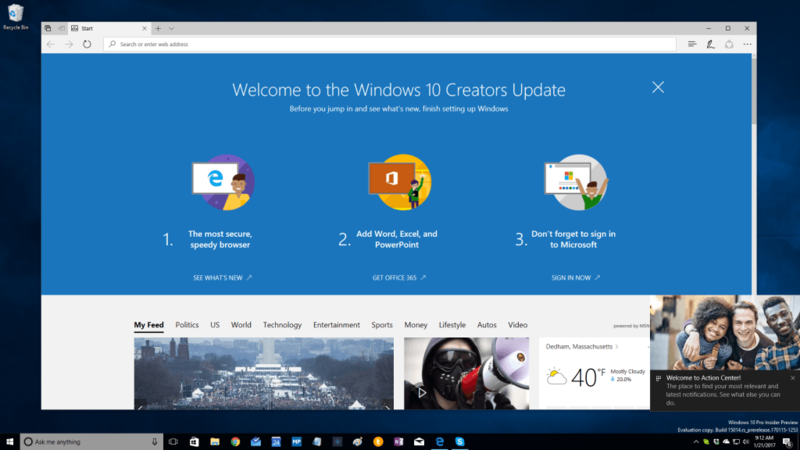 The Windows 10 Creators Update will start rolling out on April 11. The rollout will begin in stages, releasing first to the configurations that Microsoft have tested via the Insiders or in-house to be stable. 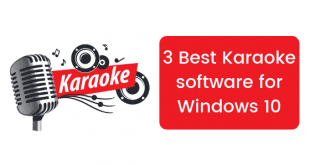 Windows 10 is running on more than 400 million monthly active devices per Microsoft, so these are some high stakes, and stability is of the utmost importance. Microsoft rolled out the Anniversary Update last year in the same manner, so it’s not the first time Microsoft is doing this either. There’s a lot new with this update: Mixed Reality will bring a foundation to support Microsoft’s ambitious VR headsets, while Paint 3D will help inspire individuals to create content for 3D environments. Cortana will also get smarter, and will even guide users through the setup and installation process. Microsoft is also reforming the setup process to detail some of the controversial privacy settings. The Express setup is no longer an option. Instead, users now have to make their privacy-related choices with some thought. 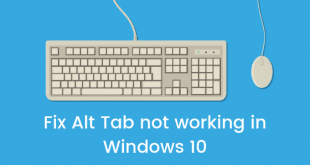 It’s helpful to have these options at the forefront and should help Microsoft rid at least some of the controversy surrounding Windows 10. Xbox is also a big part of this update, bringing in-game broadcasting via Beam, as well as the new Game Mode that boosts performance for certain games. Though, it’s hard to judge how much of a performance boost the Game Mode can deliver. Edge, on the other hand, is now more than a web browser. It’s also an eBook reader. The Windows Store now has a section for eBooks, and the Edge browser is the default eBook reader. It might be a confusing decision, but it works out well. Those are merely some of the bigger highlights; there is an extensive list of smaller updates and changes for the Creators Update. There are accessibility improvements, as well as several new privacy and update settings and options. Creators Update is built atop the feedback gathered via not only the Windows Insiders but also the average Windows 10 user. It’s an attempt at revaluating some of the priorities and rectifying a few long-standing complaints with Windows 10.